AO UK Limited is based in the UK and develops,sells and supports AO Campaign; a product information, content management and multi-channel publishing solution for the travel and tourism, retail & mail order and industrial and manufacturing sectors worldwide. Among its customer base, AO UK Limited many industry-leading travel and retail clients including British Airways Holidays, Qantas (JTG) Holidays, Flight Centre, Staples, Compass, Stella, Shearings. All users in an organisation; management, administration, product and marketing and brochure production, external designated users such as resort, 3rd party suppliers and production agencies, have direct access to the central content database controlled by and according to user profile and access permissions. The AO Campaign suite of applications is an enterprise-strength solution for managing all product data and content fromdata and content capture through the Campaign Enterprise Gateway (CEG + ETL) to the Core database to the AOSS datamarts and output to multiple channels; websites and mobile media. Additionally it has extensive print capabilities enabled by dynamic bi-directional integration with Quark XPress and Adobe InDesign. AO Campaign incorporates a wide range of tools for automatic image import and management, page and PDF workflows and print output, in addition to web and digital channel content capture, delivery and automatic XML generation. PDF data sheets; e.g. PIFs / RIFs and contract information can be generated automatically from the database and used as on-or off-line data and content entry, checking and updating forms. These are designed to be used on-screen but can also be used by resort managers as off-line faxed forms where they do not have on-line access. 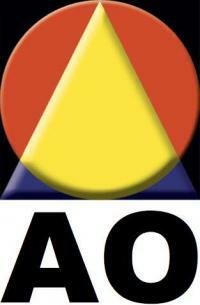 Automatically generated publications from AO Campaign, such as eBrochures, last minute price lists, point-of-sale posters, last minute offers and 'manager specials' can all be generated automatically and delivered directly, as e-mail attachments or, for example, as downloads from the suppliers web sites. AO Campaign Portal utilises web services to integrate with 3rd party systems and conforms to the OTA industry standard for external communications.